Thank you to Gen Con's attendees for making Gen Con 50 the best show yet! 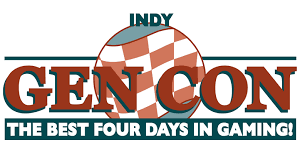 You can read more about the historic Gen Con 50 via this post-show press release. Miss the convention? Download a digital version of the Gen Con 50 Program Book and read about the epic action of Gen Con 50!